As I’m sure you already know, I’ve set myself the challenge of competing in this year’s Great Ireland Run 5km run on 9 April. What’s brilliant about the run is that it’s a very manageable way to stay ﬁt - it’s always much easier staying motivated to go for a jog or hit the treadmill when you can feel the satisfaction of crossing a ﬁdish line at the end of it all! 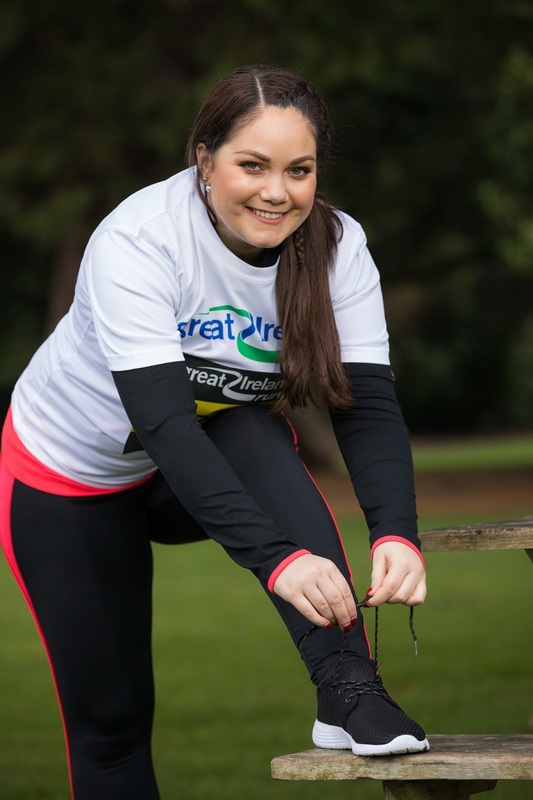 The Phoenix Park run is a fantastic challenge for people of all ages and abilities with a 5km for those wanting to get ﬁt and a 10km for the more experienced runner. 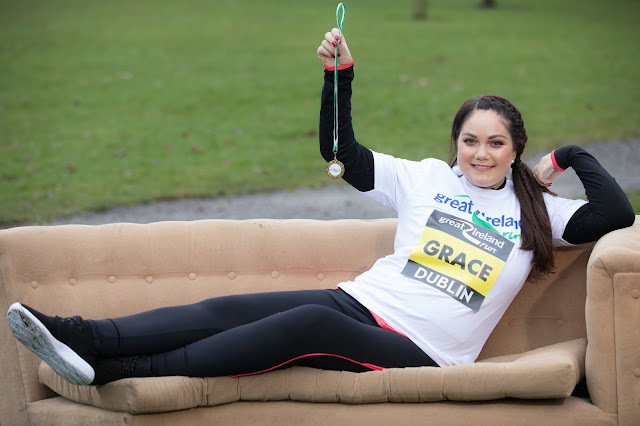 Either option is sure to be great craic with a great run atmosphere, so why not sign up?! The park setting also makes the run very ﬂat and easy going. 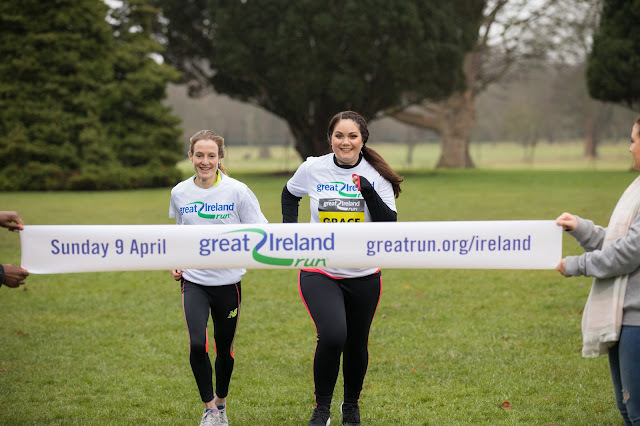 The Great Ireland Run experts have created a 5 week training plan, which is a fantastic tool for those who haven't run before or are a bit rusty. I’m loving it because it focuses on small and doable daily goals that help me build my ﬁtness at a steady pace. I can feel training getting easier every day. Five weeks is plenty of time to start a new ﬁtens challenge, so even if you start the plan today, you still have the opportunity to get run-ready. I’m excited for the run itself and would love if my followers got involved and signed up with me to do the run. It’s deﬁnitely not too late to get involved. Here’s the simple 5 week training plan I’m going to be using in the run up to the big day! Starts Monday 6 March - No matter how keen you are to get going, take it steady. You will never regret giving yourself a nice, gradual introduction to running. Give your body time to get used to this new challenge! Starts Monday 13 March - You’re now underway! Remember if you’re new to running, it’s all to easy to over-stress your body and risk injury or loss of motivation, so keep it fun and you’ll reap the beneﬁts. Starts Monday 20 March - This block sees the time of the jogging intervals increasing further with short walking breaks, your ﬁrat 5k is in sight! You are now making progress but it is important not to get too carried away and put strain on your body. Starts Monday 27 March - You are now over halfway through your training schedule so well done!! As you are feeling ﬁtter you should be able to increase your pace of your jogs and run for longer more comfortably. Starts Monday 3 April - The week you’ve been waiting for has arrived! 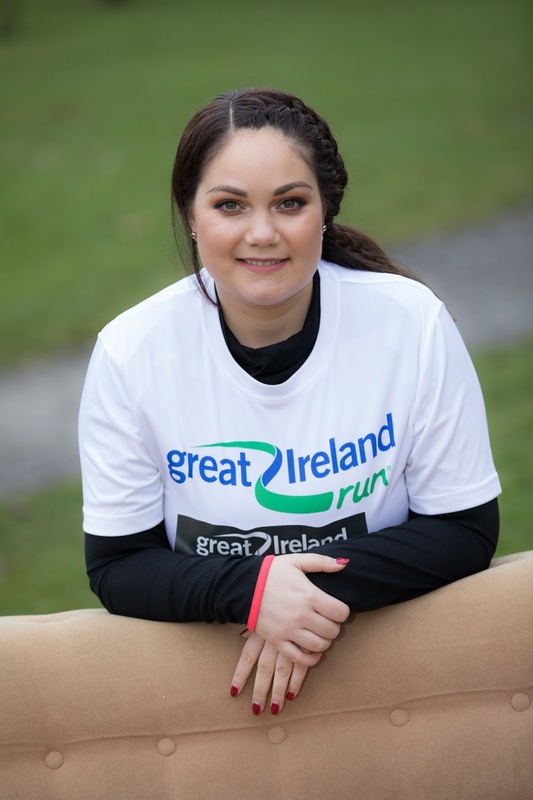 Week 5 sees you almost at peak ﬁtness and you should be growing in conﬁdence at the thought of tackling your 5k! 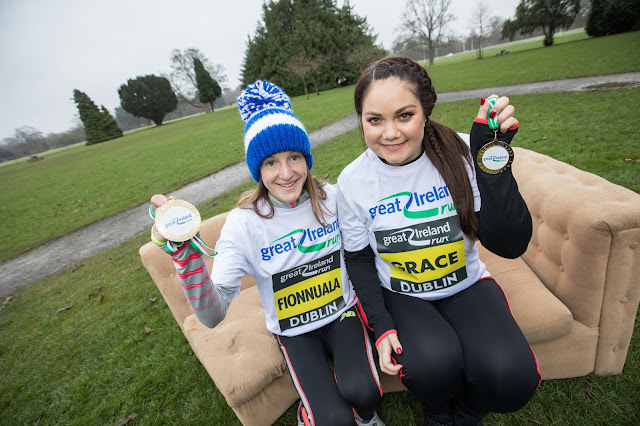 Sunday - GREAT IRELAND RUN 5KM! Relax, smile and enjoy!